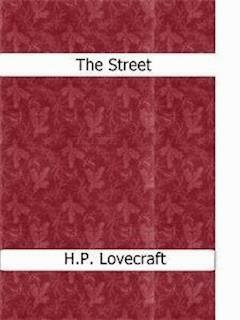 "The Street" is a short story by American horror fiction writer H. P. Lovecraft, written in late 1919 and first published in the December 1920 issue of the Wolverine amateur journal. The story traces the history of the eponymous street in a New England city, presumably Boston, from its first beginnings as a path in colonial times to a quasi-supernatural occurrence in the years immediately following World War I. As the city grows up around The Street, it is planted with many trees and built along with "simple, beautiful houses of brick and wood," each with a rose garden. As the Industrial Revolution runs its course, the area degenerates into a run-down, polluted slum, with all of The Street's old houses falling into disrepair.